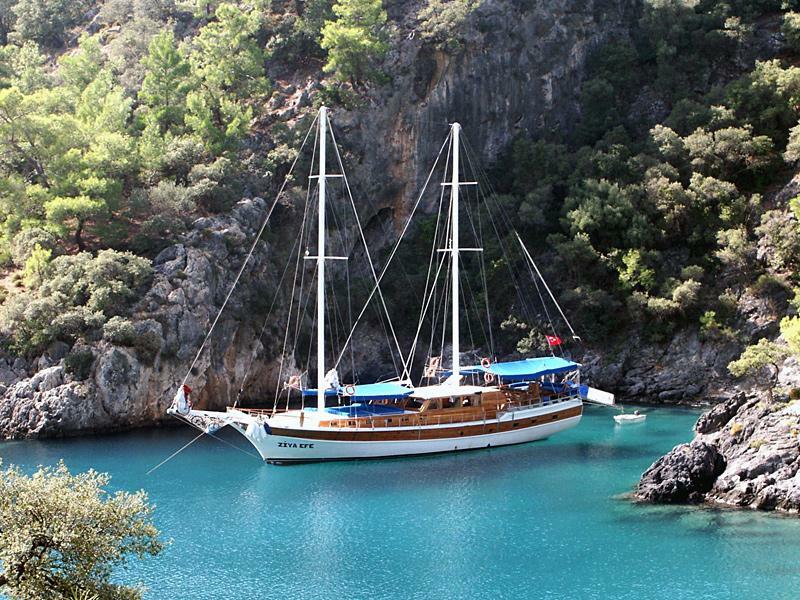 Gulet cruises are the most luxurious way of visiting the enchanting shores of Turkey. The wooden gulets - styled after the endemic fishing boats - are modern built cruise ships with air conditioning, and a full crew comprising of chef cook, skipper, hostesses and deckhands. Usually these gulets sleep 6-14 guests in large staterooms with ensuite showers and toilets. The original Blue cruise was along the Carian coast: Bodrum, Marmaris. Together with Fethiye these are indeed the premium yacht charter ports in Turkey. Onshore excursions to the archaeological sites of Turkey are often included.